Venice is minimalist serif font created and published by Jen Wagner, a designer based in Denver, CO that believes great design should be accessible to everyone. 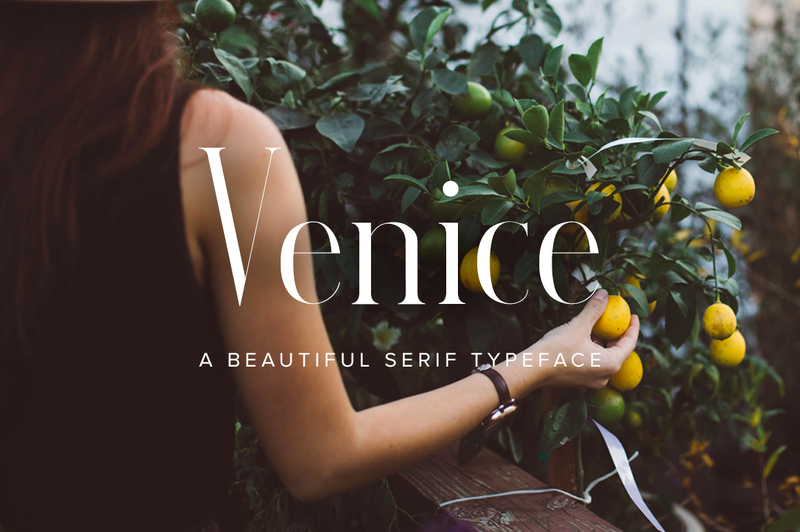 Featuring sleek lines alternating with tick stokes similar to the classic ’90s Vogue feel, Venice is a powerful font workhorse for gorgeous logos, titles, layouts, content etc. you name it. Create stunning designs Venice! A font description published on Tuesday, September 20th, 2016 in Fonts, Jen Wagner by Andrei that has 2,464 views.